The Lavazza Italian Film Festival makes a return for its 14th season this October and November with a line-up of 27 exciting new titles, as well as a classic returning to screens. Visiting Melbourne, Sydney, Canberra and Brisbane as a guest will be the ravishing French/Italian actress Clara Ponsot – one of Europe’s most sought-after young stars - who will be presenting her new drama Cosimo and Nicole. This year’s event will be book-ended by two films which pay homage to Rome. 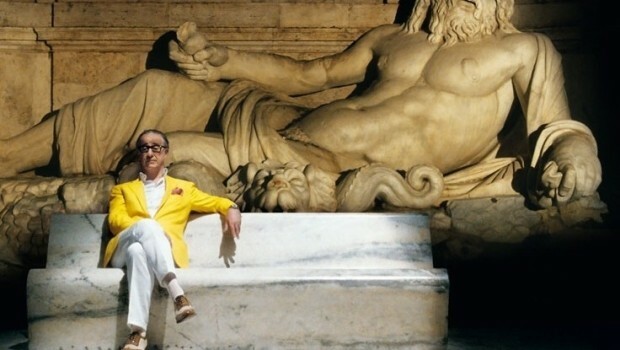 The Great Beauty, which screened for the Palme d'Or at the Cannes Film Festival, is critically lauded drama about love and regret from writer/director Paolo Sorrentino (Il Divo, This Must Be the Place). It will launch the Festival at Opening Night Galas in each state. For Closing Night, 1972 gem Fellini’s Roma – a gloriously vivid valentine, from the late, great director, Federico Fellini, to the city he adored - will screen. Drama and comedy are effortlessly fused in this clever and stylish world-tour of hotels across Paris, Berlin, the Alps, and Marrakesh. Hotel critic, Irene spends her glamorous days travelling to the world’s best establishments, methodically judging their standards in every fastidious respect. However, she remains supremely unaware of the glaring imperfections in her own life until events shatter her complacency challenging her to find a balance between work and play. In this wry comedy, Leone, a very wealthy, very lonely man, decides to create a family Christmas by writing a script and hiring professional actors to play different family members. When in Leone’s presence, this odd company perform their parts, but his constant mood swings cause havoc with his own script, forcing the actors to improvise. However an unexpected arrival causes a major disruption to proceedings, throwing the script into a disorder that will either make or break this strange family unit. In this powerful tale, Nader, a 16-year-old Italian-born son of Egyptian Muslim parents, is caught between his peers and his cultural roots. In love with Italian girl Brigitte, Nader defies family wishes by fleeing his home. But when his fiery friend Stefano gets into a fight, Nader stabs a young Romanian in his defence, forcing him go into hiding from the wounded victim’s family, who now seek revenge. When husband and father of two Giulio upsets his comfortable life by having an affair, his wife Elena cannot forgive him. He decides to move out but promises that he will continue to support the family financially despite his meagre monthly salary. But where can he go? His friends have their own problems, apartments are too expensive and he resists staying with his mistress. Finding a one-room, shared-bathroom pensione, Giulio plunges deeper into poverty as he struggles to pay for his separation, borrowing more and more money before hitting rock bottom. Told with ironic humour amidst the tragedy, this movie poignantly examines the thin line between having it all and having nothing. Audiences will also remember Mastandrea from last year’s Festival films Piazza Fontana: The Italian Conspiracy and Things From Another World. His outstanding performance in this film won him the Best Actor award at the 2012 Venice Film Festival and is widely hailed as the finest of his career. Officially selected for Un Certain Regard at Cannes 2013, this finely-tuned drama is the outstanding directorial debut of internationally famed actress Valeria Golino. Irene is an angel of mercy. Going by the pseudonym “Honey”, she works under the radar and outside the law to assist the terminally ill to pass-on peacefully and with dignity. However the work is not without its costs and Irene lives a largely insulated life with personal liaisons kept at arm’s length. But when retired architect Carlo enlists her services, a tense yet caring relationship results, causing her usually fierce code of ethics to be tested. In 1991 Armenia was in a state of economic, social and political upheaval, with many citizens dreaming of a better life abroad. On 8 August 1991 the ship Vlora returned from Cuba with 10,000 tons of sugar in stowage. The local residents – an uncontrollable throng of some 20,000 men, women and children - took advantage of what appeared to be a rare opportunity and forced the Captain to take them to a new life in Italy. Shown through extensive footage of breathtaking scenes, and told from the perspectives of those who experienced it themselves, this dramatic, little-known piece of history won the Best Documentary Award at the 2012 Venice Film Festival. Actor turned director, Luigi Lo Cascio, stars as a talented architect and fervent environmentalist who decides to live for one year without running water, electricity or automobiles. However, one rainy evening, when forced to borrow his boss’ car to drive a colleague to a work function, his life takes an unexpected turn when he hits something he can’t identify. When a few miles down the road he discovers the dead body of a local luminary, he unwittingly brings great suspicion upon himself, as his uncertainty of the night’s events raise more questions than he has answers for. 17-year-old Toto sells lemon crushed-ice from a cart in a run-down area of Naples, until one day he is forcefully enlisted by the local Camorra boss, Bernardino, to temporarily guard 15-year-old wild child Veronica in a dilapidated warehouse. Toto is initially resentful, unaware of the reasons for being handed this task. Meanwhile Veronica loathes her imprisonment and her ‘babysitter’. However, as time passes a friendship develops, despite the sense of impending doom that prevails as they anticipate the return of Bernardino and the fate that awaits Veronica. Feted by critics, The Interval won Best New Director for Leonardo di Costanzo at the David di Donatello Awards. The legendary Domenico Modugno charmed the world with his melodic voice and songs, which came to symbolise Italian grandeur in the 60s. Together with Johnny Dorelli, he launched his career with the timeless song "Nel blu dipinto di blu” (“Volare”), which garnered two Grammy Awards, sales above 22 million copies and represented Italy in the 1958 Eurovision Song Contest. He was also a successful actor with 44 films to his credit before he entered politics in 1986. We follow his incredible journey as a boy from the south of Italy to a man who produced some of the world’s most famous songs. Screening in two parts of 100 minutes with a short intermission, this is a must-see Festival highlight.